Premium Bird Netting - Gardens Alive! We love inviting birds to our gardens with feeders and their favorite seeds, but when they start eating produce from our trees, plants and berry bushes, it's not quite as fun! If you're frustrated with the birds, try our Premium Bird Netting to keep them away. 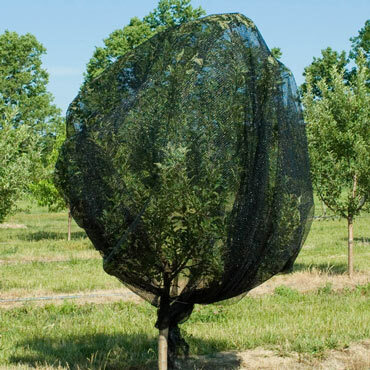 The .5" openings in Premium Bird Netting are smaller than in typical netting (at .75"), perfect for protecting berries, fruit trees, and just about anything birds bother. In addition to its smaller, more effective openings, this premium-grade bird netting is easier to handle than standard bird netting. It causes less tangling and won't trap birds like standard netting can. It's black in color, and UV-treated for years of use.